We have a large inventory of used equipment offering everything you need to see your home or commercial project through to completion. 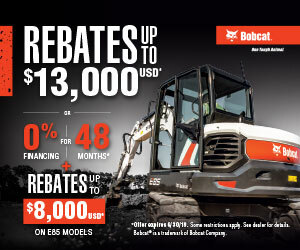 When you buy used Bobcat or Kubota machines from us, you can be confident that you’re receiving the highest-quality equipment available. And because our customers are our top priority, our expert technicians are dedicated to getting you the most machine for your money.